In my second year of university, I have had the pleasure of being involved in The Network of Women (NOW), a stimulating and invigorating student run society. NOW just celebrated its first birthday, and after a very successful year with over 400 members, NOW also recently won the University of Sydney Union’s ‘Best New Club’ award. On the 16th of September at Sydney University’s CBD Campus, NOW co-hosted an event with the Work and Organisational Studies Society (WOSOC) with over 50 attendees. The event surrounded Equal Pay Day and was titled, ‘we cannot rewrite the past, but we can rewrite the future’ encapsulating that in order to improve equal pay, we must not dwell on the past, but instead work towards a better future. In Australia, Equal Pay Day marks the additional days that on average, women would be required to work to earn the same as men. It is calculated once a year in August, using may as the reference period. Equal Pay Day thus changes every year, with it falling on the 4th September in 2015, indicating an extra 65 days. The gap is unfortunately increasing, with NSW alone adding 2.8 days in just one year. 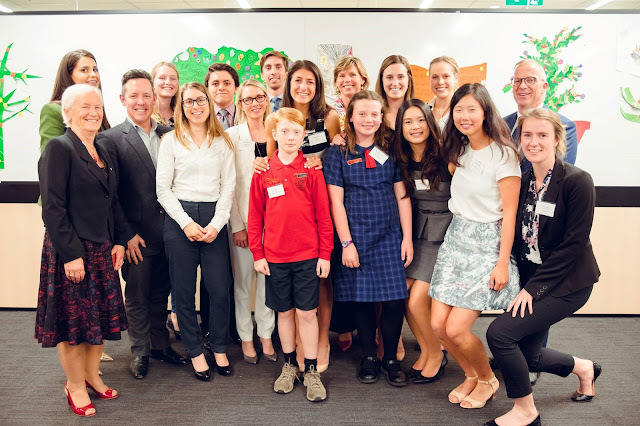 The event was led by Marian Baird and included a panel of esteemed business men and women including Sydney University’s Vice Chancellor, Dr Michael Spence; Managing Director and Founder of Xplore for Success, Ms Diana Ryall AM; Head of Diversity and Inclusion at Telstra, Mr Troy Roderick; UN Women MBA Scholarship Recipient (USYD), Dr Kim Johnstone and Research Executive Manager at WGEA, Dr Carla Harris. Further special guests included two year 6 students from Darlington Primary School, Matilda and Alex, who shared their thoughts on the gender pay gap, stating they would never think men and women should be paid differently when completing the same job. Although they are just beginning their quest in order to find the right career path, it does bring up the question – where does this intention change? The panel led an engaging discussion around the theme of gender targets, workplace relations and gender equality within a number of differing workplaces. The discourse prompted me to further reflect on the existence of gender pay gaps and gender ratios in my own family’s architecture business, where there is a noticeable difference in males pursuing higher paid positions than females. What I found very interesting was that the panel discussed the issue that more women than men pursue higher tertiary education degrees such as honours and PHDs, however when they enter the workplace this does not align with job offers and further career advancements. 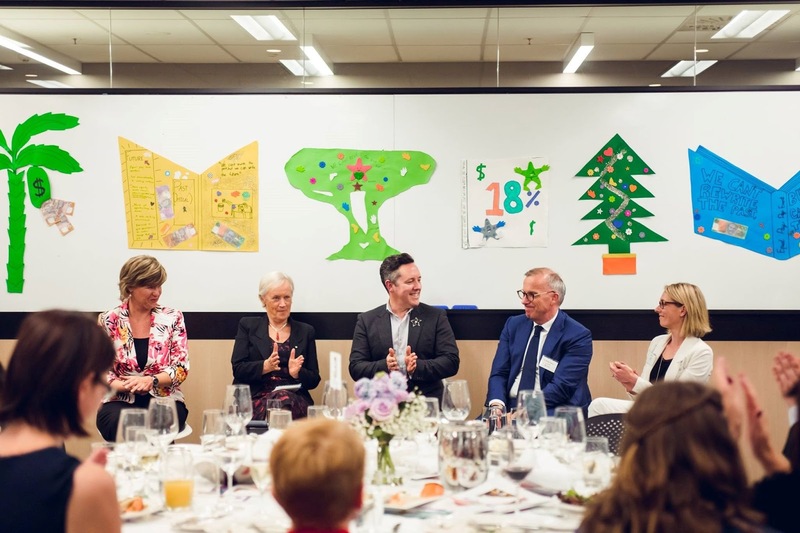 Furthermore, the hotly debated issue of gender targets was discussed with the panel agreeing that without organisations sticking to the targets, further gender workplace arrangements such as more part time roles (for both parents) will never be implemented. It was also great to see that the University of Sydney itself is looking into their own gender pay differences and employment opportunities, with Dr Michael Spence specifically stating he would love to see a 50/50 female to male employment across the university. Overall, my involvement with NOW has left me feeling empowered and enlightened on the realities of equal pay in the workplace. Bringing this conversation to both the university level, as well as the workplace level is important as the issue spans every market, and students must be informed of the issue in order to further implement changes in their careers. NOW itself also provides a platform through which passionate, motivated peers with similar desires to initiate change can connect. It has truly been a fantastic year being on the executive of NOW as the Media and IT Director, and every event has only benefitted myself as I embark on my own journey into the workforce.